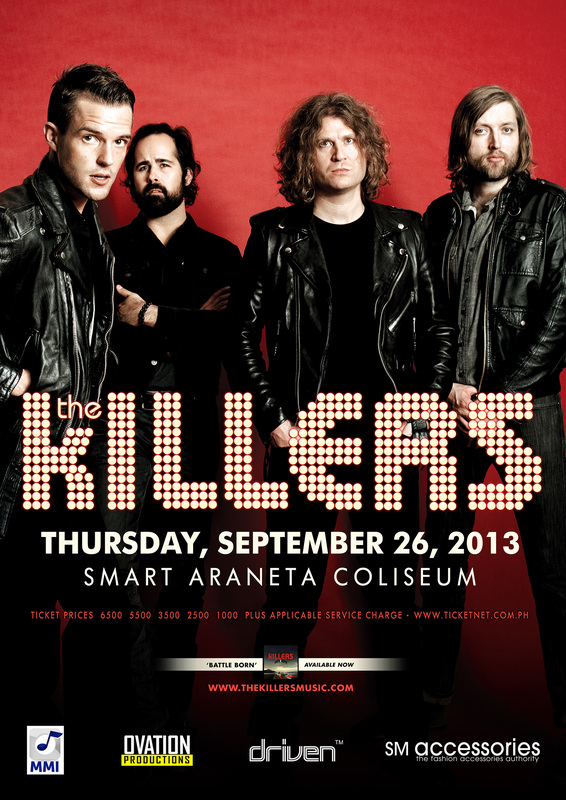 On Septemeber 26, The Killers are performing their best hits at The Smart Araneta Coliseum. If you’re as big of a fan as I am (I’ve got all their albums and have been listening to them nonstop since I got my tickets), then you’ll love this giveaway! The ever so generous SM Accessories is giving away 2 Upperbox A tickets to one lucky winner!!! Could that be you? Here’s how you can join! Leave a comment below with your Facebook and Twitter names. Tweet this: “I want to win tickets to The Killers concert on www.itscamilleco.com ! #ItsCamilleCoGiveaways” No need to tag my Twitter handle. Deadline for entries is on Sept. 24, 2013 at 11:59 PM. No multiple entries please. I’ll announce the winner the following day so check the comments section below by then! Good luck, everyone! And to my lucky winner, see you at the concert! Hello Miss camille! Hope i’ll win it! Prameez, Ms. Camille, ANDAMI mong mga memorable lines o “quotable funny quotes,” hehehehe.. i mean it in a positive way!! Haha! Glad you think so Gala!